Diamond prices are on the rise in 2018, which will bring economic growth to the mines in the Northwest Territories, according to an analyst. Paul Zimnisky, an independent diamond industry analyst based in New York City, says he expects a price increase for both rough and polished diamonds in 2018. In 2017 prices for rough diamonds went up 2.7 per cent, while polished prices went down 3.5 per cent, according to the company’s diamond price index, updated weekly since 2004. Zimnisky predicts rough diamond prices will go up as much as four per cent this year, which he says will have a significant impact on the diamond industry. “It will definitely move the needle for production companies,” he said. Zimnisky says that this is good news for the mines in the N.W.T. “If prices are higher it should help all of the mines, assuming they don’t have specific operational setbacks, so that should lead to higher revenue, higher profits and an increase in tax revenue,” he said. In particular, Zimnisky expects the territory’s newest diamond mine — Gahcho Kué — to see increased revenue because it will be able to access higher quality diamonds deeper into the ground. 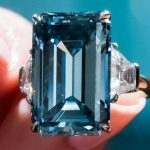 “In 2018, I expect them to access the ore that has fewer diamonds, but higher quality diamonds and the higher quality diamonds are going to be worth more,” he said. According to Zimnisky, the reason diamond prices are on the rise is because he expects a strong global economy in 2018 and diamond demand is highly correlated to economic growth. The U.S. and China are the biggest consumers for diamonds in the world — with half the global demand coming from the U.S. and about 20 per cent coming from China, according to Zimnisky. 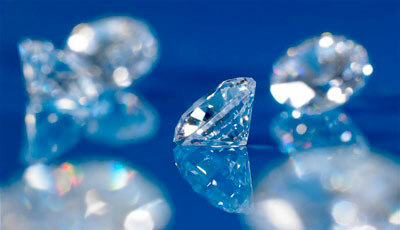 Economic growth in these two countries is what will really move the diamond industry forward, he says. “I expect the U.S. and the Chinese economies to grow at a rate that will translate into increased demand for diamonds,” he said. Zimnisky says the best thing diamond companies can do to generate interest from consumers is through “generic” marketing campaigns. 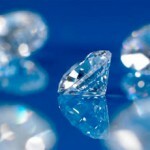 This means marketing the general idea of buying diamonds, as opposed to a specific brand of diamonds. “This is an industry where you can throw money at the problem, as I like to say. It’s a luxury item, it’s a discretionary item, branding and marketing is very important with luxury items,” he said.